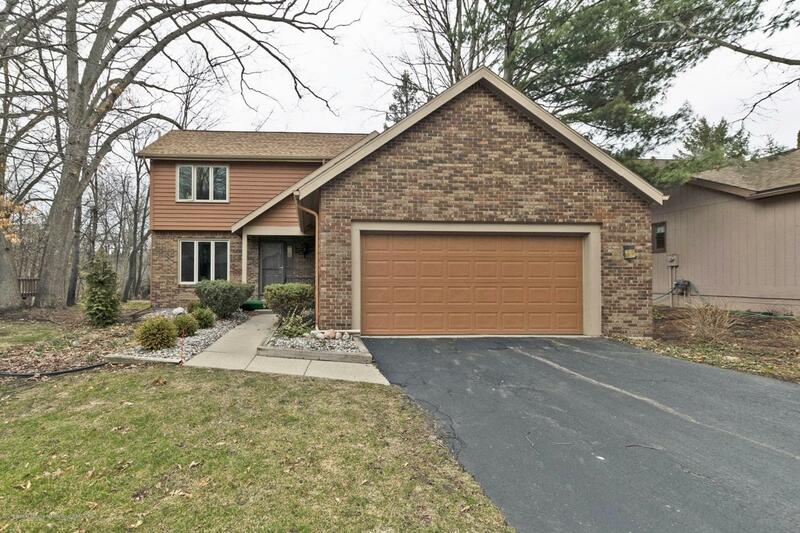 Welcome to 4420 Comanche Drive, Okemos, Mi 48864This well maintained two story condo offers an open floor plan on the first floor The open living and dining room overlook the wooded back yard and deck. 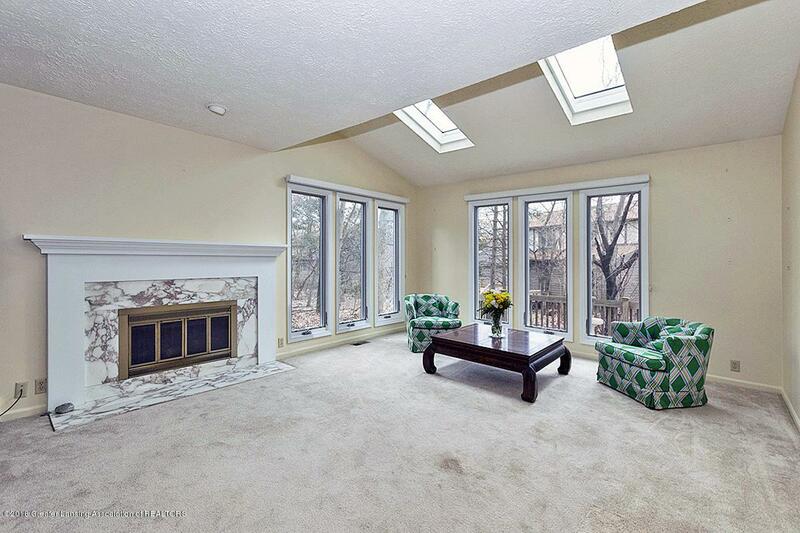 Skylights are featured on the first floor and a gas fireplace in the living room. 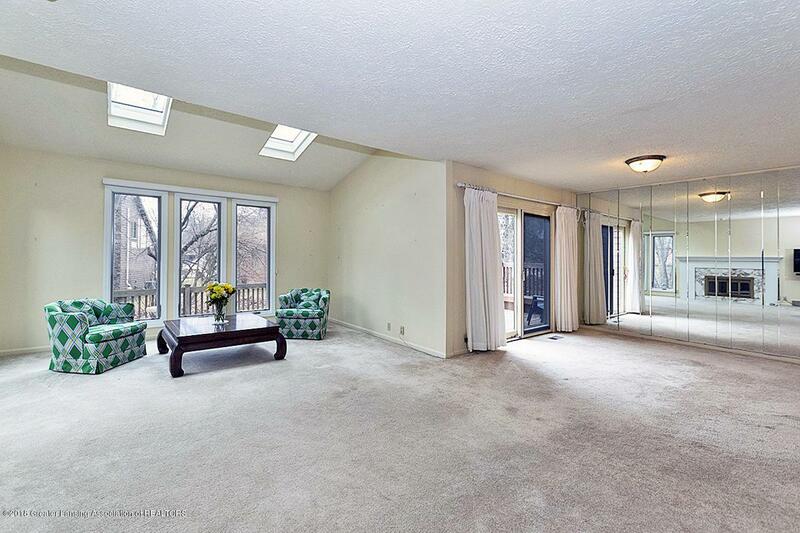 The inviting first floor den overlooks the front yard and offers built-ins/bookcase and storage. Informal eating area in the kitchen, an abundance of storage and counter space. First floor half bath. The second floor features a large master bedroom, walk-in closet and bathroom. Two other bedroomswith spacious closets and second floor full bath.The unfinished lower level is waiting to be finished or just used for storage, two car attached garage.Other amenities offered are two swimming pools and a tennis court. 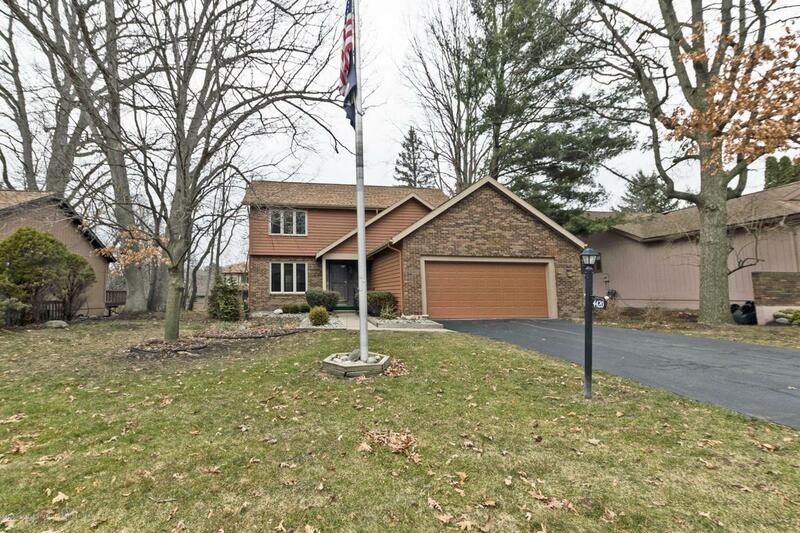 A great location, close to MSU and Okemos Schools. A 24-hour notice is appreciated for showings. Assoc. Dues have been paid thru Oct., and Special Assessments thru 2019. Listing provided courtesy of Linda Holmes of Berkshire Hathaway Homeservices Tomie Raines.